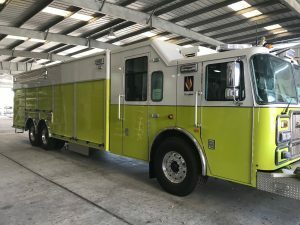 After dealing with many months of painstaking details the new Rescue 56 is in full service. Within a few hours the new rig responded to numerous calls and has been busy ever since. We are expecting many years of problem free service. We are sad to see the old R56 leave us after many years of faithful service. 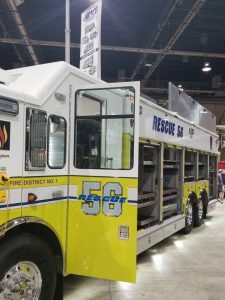 However, we are equally excited to run the new and improved Rescue 56 for many years into the future. FINALLY!!!! 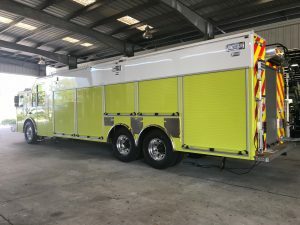 July 20, 2018 – The new Rescue 56 is scheduled for delivery tonight at 1700 hours. 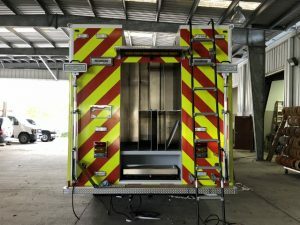 A few last minute tweeks and the relocation of the equipment from the old Rescue 56 it should be in service in less than a week. Update – May 13, 2018. 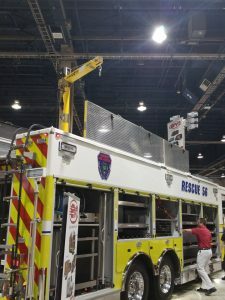 Rescue 56 is at Campbell Supply getting dressed up for its debut at the Harrisburg, PA Fire Expo. Check it out at the EVI booth. Check out some more completed pictures from EVI’s website. A few loose ends and small additions are being worked on. 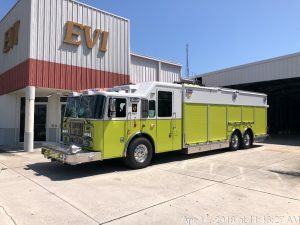 We are expecting a May 2nd departure from EVI and arrival in New Jersey at Campbell Supply May 4th. 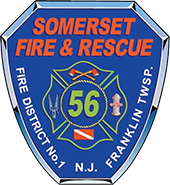 Update- March 18, 2018 – Final Inspection set for April 13-15, 2018! 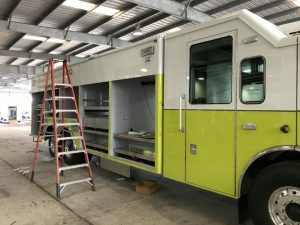 Update – February 28, 2018 – It looks bigger with the doors on! Getting close now. Update – February 22, 2018 – Things are moving along now. Tentative final inspection date is looking like mid April. More to come. Update – November 14, 2017 – Body set on the frame, mid-construction trip set for next week. She will be home soon! 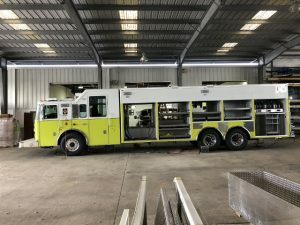 Update – September 11, 2017 – The chassis and body survived hurricane Irma. Thanks to the staff at EVI for keeping her safe!! Mid construction trip is scheduled for early November. 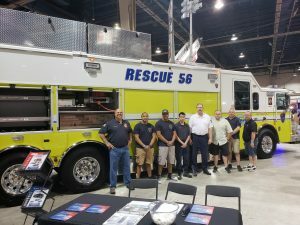 Update – August 24, 2017 – Cab andChassis arrived safely in Florida. 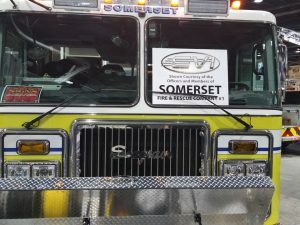 Update August 6-8, 2017 – Final inspection at Seagrave. A few punch list items to be rectified, shipping to EVI in Florida next week. 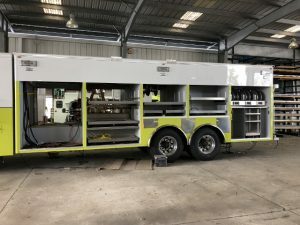 Update July 26, 2017 – Cab and chassis mating to the frame rails is partially completed, should be complete this week. Update July 18, 2017 Cab and Chassis final inspection scheduled for August 7,8. Body framing is complete see updated pictures. 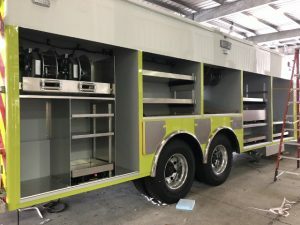 The first construction pictures of the new Rescue 56 are coming in. Stay tuned for more developments as they happen.